Eberlestock's Dagger is a lightweight, high-speed hydration pack that can be used solo or rigged to the MOLLE webbing on most of their packs (creating a pull-off piggy-back hydration system). On its own, it has the ability to attach any of Eberlestock's scabbards and features a clean, low profile design. Eberlestock &apos;s Dagger is a lightweight, high-speed hydration pack that can be used solo or rigged to the MOLLE webbing on most of their packs (creating a pull-off piggy-back hydration system). On its own, it has the ability to attach any of Eberlestock &apos;s scabbards and features a clean, low profile design. This pack creates an ideal minimalist solution for simple hydration, or for hands-free rifle carry. 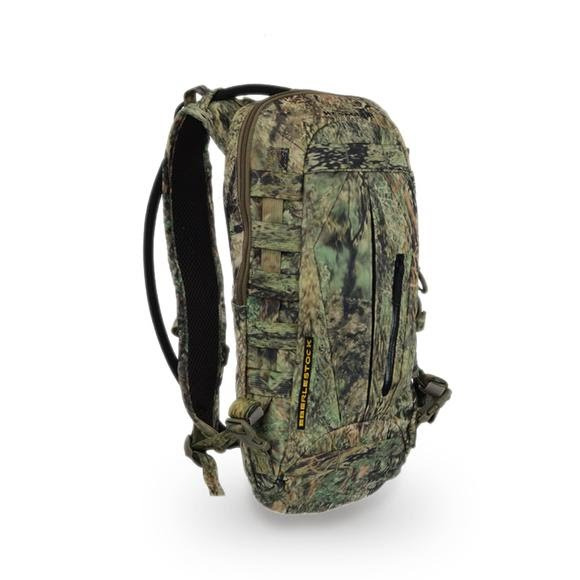 Padlock/MOLLE type webbing and tether straps allow you to attach a range of accessories. Dimensions 17" x 6.5" x 5"